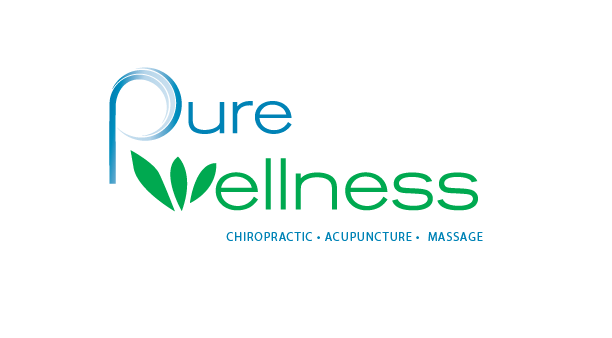 Welcome to Pure Wellness, a holistic chiropractor in Newark, DE. We’re specialists in helping you to resolve health problems, reduce neck pain, manage pain levels, improve your quality of life and get to the root of whatever is causing you pain. With us by your side, you can get rid of discomfort and be on your way to being your best self yet. Finding a chiropractor in Newark, DE, can be a challenge. But with Pure Wellness, you’re in good hands - literally. We can provide a range of services designed to get to the root of the problem, not just manage symptoms, helping you to live a better life. Pain is your body’s way of telling you that something is wrong. When you feel pain in your neck, back or shoulders or anywhere else, it’s a sign that something needs to be corrected. Rather than just managing the pain with pain killers, we believe in addressing the underlying problem to eliminate the cause of discomfort for good. That is why we are one of the best-rated chiropractors in the Newark area: we deal with the issue, rather than masking symptoms. Allow Your Body To Heal Itself : The human body has a fabulous ability to heal itself. You see this in patients suffering from chronic diseases: when they adjust their lifestyles and stop inflicting harm on their bodies, they regularly get better and can sometimes come off all medication. Chiropractic treatment works on a similar principle: by manipulating the biomechanics of the body, our therapy can help correct the underlying issues that are leading to neck, back and shoulder pain. With our help, you can end discomfort for good and learn about how to prevent it from coming back in the future. It’s hard to train at the gym or for a sport you love when you’re in pain. Back, neck and shoulder pain get in the way and make physical activity less enjoyable. Chiropractic treatment, however, can quickly resolve the underlying issues that are causing discomfort in the first place, helping you to improve your performance. Humanity evolved in an environment where we were always on our feet and moving in many different directions. All our muscles were taxed daily, helping to promote a healthy range of motion. In today’s society, especially in New Jersey, people do not move in the ways that are natural for our species, and they spend most of their time sedentary. Chiropractic treatment can help to undo some of the biomechanical consequences of a sedentary lifestyle, improving range of motion and flexibility in the joints. Enhancing flexibility and range-of-motion releases tension, reduces the chance of injury (which is great for athletes) and improves the function of the bones, muscles and joints of your body. Pain medications are excellent for reducing short term pain, but they can sometimes be addictive and have unpleasant side effects. Chiropractic care is a natural method of pain relief, is not addictive, and can help you avoid complications that may arise if you take pain killers for a long time. Chronic pain is one of the biggest drags on a person’s quality of life. With a range of treatments from Pure Wellness, you can eliminate pain at the source and live a happy life, free from daily pain. The great thing about chiropractic care is the wide variety of treatments on offer, from full body adjustment to massage. Here are some of your options. Although dealing with neck and back pain is a large part of chiropractic care, many people mistakenly believe that this is the only type of pain with which chiropractors can help. Chiropractors, however, are trained in helping to relieve pain in many areas of the body linked to the spine, bones and nervous system. Many factors can cause the emergence of pain including falls, tension, repetitive strain, incorrect lifting motion, and movement in the bones in the spine. These factors can lead to injuries which manifest as pain not only in the back and neck but also in the interior of the body too, including organs. At Pure Wellness, we’re committed to treating pain no matter where it originates if it might be caused by an underlying problem with the bones or supportive tissue. We believe that massage is an essential factor in any chiropractic care program. With the right massage techniques, you can be on your way to wellness quickly. Massage helps to improve circulation, reduce tension, improve the flow of nerve impulses, and circulate fluid in the body that may have built up over time. Scientific research backs up the use of massage as a complementary therapy to chiropractic care. Practitioners use massage to help people who have chronic stress or strain, are exposed to specific occupational hazards (like heavy lifting), work in sedentary jobs (like office staff), or play musical instruments which put a strain on the body (like the violin). The purpose of massage is to help you rehabilitate tired joints and muscles, reduce pain, and improve cellular nutrition. With proper massage, you can undo some of the adverse effects of a stressful lifestyle. Find out about chiropractor prices near you today by getting in touch. We’re just a phone call away. Pure Wellness is located near the intersection of Routes 4 and 7. We’ve been practising chiropractic care since 2008 and have helped dozens of people in Newark and surrounding area deal with the root causes of their pain. Talk to us today about our incredible range of services and get on the road to recovery. By removing interference with the nerves in your spine and other areas of your body, chiropractic care allows your body to work efficiently. For more information on how Pure Wellness in Newark can help you recover from your accident, injury or chronic pain without medications, contact our office.